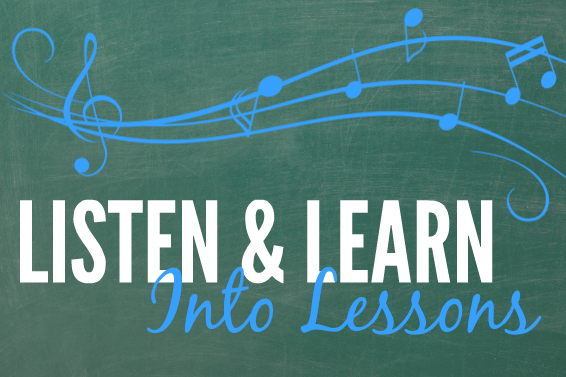 Listen & Learn into Lessons: Pre-Lesson Preparatory Series is a music class for children ages 4-7, without their parent or caregiver present. Created by our very own certified music teacher Becky Waddell, this curriculum will prepare your child for one-on-one music lessons by teaching the basic and fundamental working knowledge of music. Activities are designed based on specific goals and objectives. Goals that are addressed include (but are not limited to) competency with ear training, intonation, fine and gross motor movement, creating music, and responding to music. Each 45-minute class combines structured activities (listening, singing, movement/performing, reading/writing, and composing/improvising) with free time for children to explore the keyboard and other various instruments, as well as interact with one another. Registration includes the MP3 recordings for all songs included in the class curriculum. This preparatory series is divided into 3 four-week sections. Section 1 – Piano Play! At the end of this session, your child will have a basic understanding of melody vs. harmony; low, middle, and high sounds in music; the musical alphabet; the low, middle, and high parts of the keyboard; finger bracing. Section 2 – Rhythm Time! At the end of the session, your child will have a basic understanding of steady beat; counting patterns in music (3s & 4s); basic rhythmic patterns; loud vs soft; rests -or- moments of silence; basic note values. Section 3 – Music FUNdamentals! At the end of this session, your child will have a basic understanding of: different styles of music; instrument families; music vocabulary; treble and bass clef; articulations; expression in music; form in music. Use the links below to register for a single section.